When it comes to going to the next level in life, the area of finances is one in which God desires to increase and expand us to greater levels. Wealth and riches are the inheritance of the believer; however we must release our faith in God's ability to increase us more and more, even to the point of bringing generational wealth into our lives. As we prioritise our finances and commit to making God's way of doing things our primary focus, we can begin to experience the financial blessing God promises in His Word. 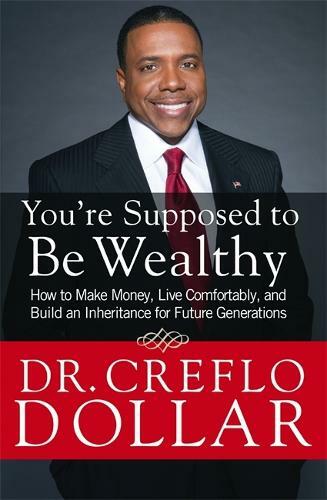 In YOU'RE SUPPOSED TO BE WEALTHY, Creflo Dollar gives spiritual and practical wisdom on how to position yourself for financial increase. Not only must you activate spiritual principles such as walking by faith and obedience, but you must also learn how to operate in a level of stewardship that demonstrates character, responsibility, and wisdom. Anyone can reach the level of divine wealth that God desires for His people to walk in by doing what is necessary to recieve the abundance that rightfully belongs to us as songs of God. You are supposed to be rich.